We have decided to postpone the banquet set for January 26th to honor Bill Williams. Due to the requirements and process of Bill becoming eligible for a lung transplant he must stay close to Dallas for an undetermined amount of time. 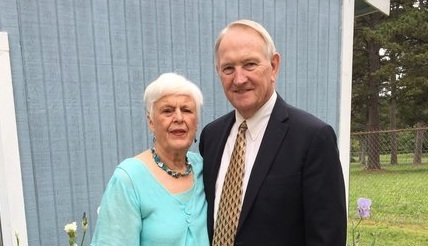 Although we were looking forward to this time of fellowship and celebrating what the Lord has done in and through Bill, we are grateful that Bill is moving closer to resolving his medical condition. Please continue to pray for him as he makes final preparations to become active on the lung transplant list. We will be in communication with you about Brother Bill’s status and plans for the banquet in the coming months. If you have any questions, pease email us at internationalchurchplanters@gmail.com. Finally! Graduation is approaching! After 6 years, I will graduate with a PhD in Missions from Mid-America Baptist Theological Seminary this December. It has had its challenges, but the doctorate work was the best academic experience I have had. Because of my studies in missions during this time, I now work in a ministry that I love. Throughout the doctorate, I have focused on missions, specifically how the strategies and praxis of missions are applied to the local church. Therefore, it was natural for me to focus my dissertation on strategies and methods of cross-cultural missions from the point of view of the local church. Starting with biblical understanding of God’s mission, I introduced mission strategy, some of the major strategies used in cross-cultural work, and some of the primary methods used to reach cross-culturally. The culmination of the work introduced a framework by which a church can begin or correct existing cross-cultural mission work. The research required for the dissertation will benefit my responsibilities at ICP as I train those who go to teach or support our indigenous partners in their ministries. I will be able to take the concepts of mission strategy and translate them for our co-laborers so that they will be better prepared for communicating biblical truths in a way that is meaningful for indigenous believers. Also, I would love to help churches begin, evaluate, and correct their missional efforts. I believe that the local church is God’s ordained instrument for the progress of the gospel and want to see the church effectively engage in God’s mission. Several weeks ago, on a return trip from a doctors appointment in Dallas, I began to reflect on the condition of my health and started to have myself a “One Man Pity Party”. I’m sure no one else has had an experience like that, but I did. You see, early in 2017 I developed this chronic cough and gotten to the point it was hard for me to walk out the front door without being out of breath. I wasn’t able to do much at all and nothing that I had to use my voice. Finally in late 2017 I was diagnosed with Idiopathic Pulmonary Fibrosis. To make a long story short, I went on Oxygen 24/7 and was very limited in what I could do, which is not much. So, as I’m riding along reflecting on my condition, I begin to ask God-as the old song says, “Why Me Lord”? It is not a sin to God questions but He doesn’t have to answer if He chooses not to-after all-He is God! Now God has never spoken audibly but it seemed He did that day. He began to remind me of all the nice people who had become a part of my life during this time that I never would have met had it not been for my illness. I was reminded it’s not all about me but it’s all about Him. I repented and began to turn my attention where it should have been in the first place-to Him, and I was reminded what of John the Baptist declared when he said, “He must increase, but I must decrease” John 3:30. 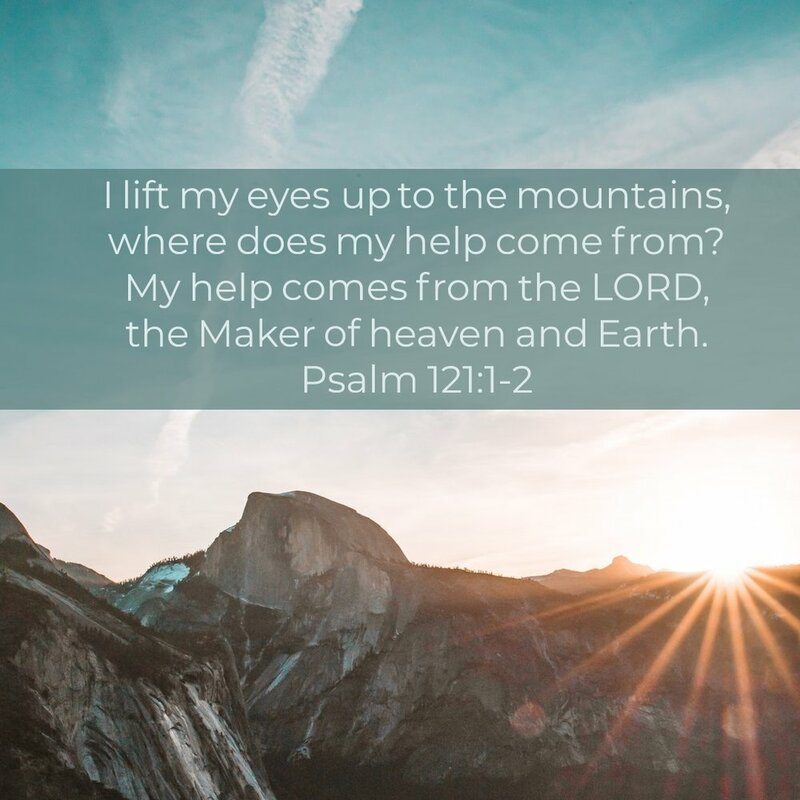 Read Psalms 23 and Psalms 121. 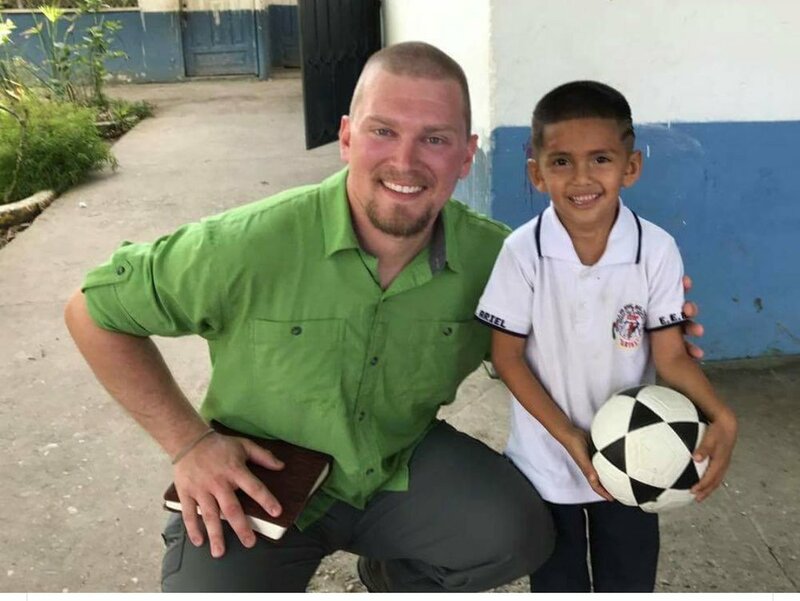 Now that we have had some time to process the amazing work God did in Ecuador this October, we wanted to give you guys some insight (through the mouths of team members) to see just a few of the amazing things that happened during this trip. First things first, this was a combination trip for many reasons. Not only did we have a jungle team (Shushufindi) and a mountain team (Tambo and other villages) who came together mid-way through the second week, but we were also doing discipleship teaching, evangelism, AND a medical clinic. Needless to say this team had to have the common goal of taking His name to the ends of the earth in order to mesh together, and praise God we did!!! The Shushufindi team’s day consisted of teaching children, women, and men in a partner school, and a park ministry in the afternoon. However, on Friday of that week that had a very special day. “Thank you all of you who are praying for us. This week has been very fruitful so far. The Lord provided the translation and medical staff that we were praying for. Yesterday at the medical clinic we heard about a lady who lived at home and could not walk. So Holly and I grabbed a nurse and a translator to visit this lady. She was 103 years old and staunchly Jehovah's witness. She had no living family and was close to death. I found a Bible in her home and lead her through the gospel using her own Bible. Her eyes were opened, she admitted her sin, repented of it, and believed upon Jesus yesterday. “I saw God work throughout the team in the clinic, children’s, and the evangelical ministries. It was incredible to see the joy that we were able to bring to those in the four villages we worked in. Through this trip I was able to make many new friends and reconnect with old ones. I saw how powerful God is and the work he can do to change lives. I hope to return again soon and work with the children in these villages again, Lord willing. And thank you to our wonderful supporters who make all of this work possible! We literally could not do it without you. Continue to pray for this team that they would live their lives in a “mission-minded” way here in the United States, and for continued fruit when we are not there physically with the pastor students, women, and children. At ICP our goal is simple - to disciple the harvest, and to reach nations. However, according to Romans 10:14 “How, then, can they call on the one they have not believed in? And how can they believe in the one of whom they have not heard? And how can they hear without someone preaching to them?” There is another problem in this situation, how can we go to a people and meet their needs if we are not aware of them? In recent months we have been made aware of an incredible resource that seeks to make people groups with little to no Christ followers public knowledge. This resource is called the Joshua Project and can be accessed here: https://joshuaproject.net. Joshua Project : “gathers, integrates and shares people group information to encourage pioneer church-planting movements among every ethnic group and to facilitate effective coordination of mission agency efforts. Joshua Project compiles the work of numerous missions researchers to develop a list of all ethnic peoples that is as complete as possible.” Every single day Joshua Project produces an unreached of the day with the people group name, population, and primary religion. They also have details about the culture of the people group, ministry obstacles, outreach ideas, and the current percentage of known Christians within the people group. Would you join us in praying daily for the lost around the world? Today we are introducing our Finance Manager, Emily Cordes. Emily was born in Florence, Alabama to a very close knit family. Since then she has lived in Chattanooga, TN while attending college at Tennessee Temple University. 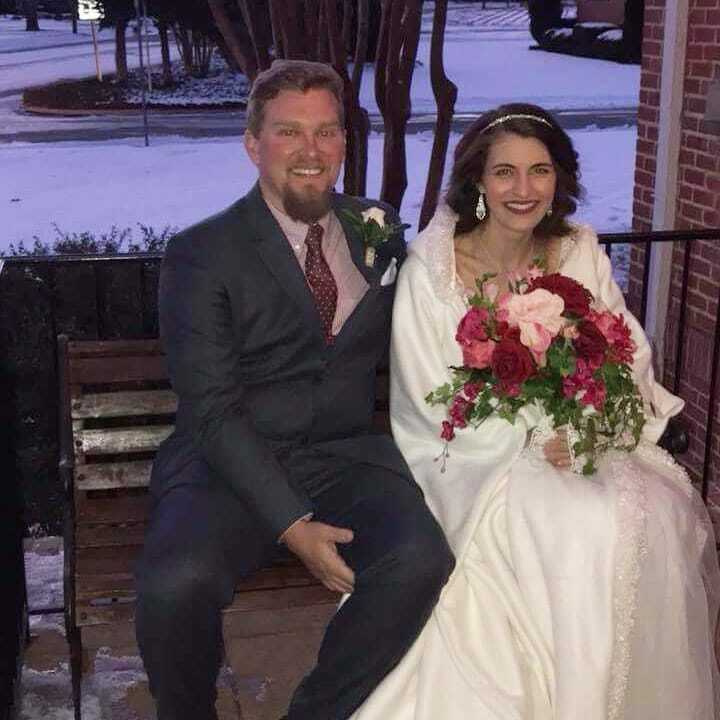 After that she and Jim Cordes (another one of our team members) were married and lived 2 years in Hokes Bluff, AL and then 8 years in Memphis, TN before moving to Heber Springs last August. Emily and Jim have 3 children: Noah 12, Abigail 10 and Olivia 7. Emily knew early on in high school/college that the Lord had called her to ministry in some way and she was open to whatever He had for her. Emily does all things financial for the ICP team, and we couldn’t be more blessed to have her! Her free time is mainly spent chauffeuring her kids to sports and other activities (which she loves doing). She does enjoy reading and hiking when she has some down time. The trip our team recently took to Ecuador was slightly different than many of those in the past. It was more of an exploration trip into how ICP|Didache Institutes would be able to most effectively minister to the people in the area close to El Tambo (where our center is located). By way of Lucas, a local pastor, the team was taken to three different villages in three days. The three villages the team was able to visit were Buenos Aires, Clementinas, and Tres Cruces (Sural), Ecuador, each of which was located about three hours away from the center. 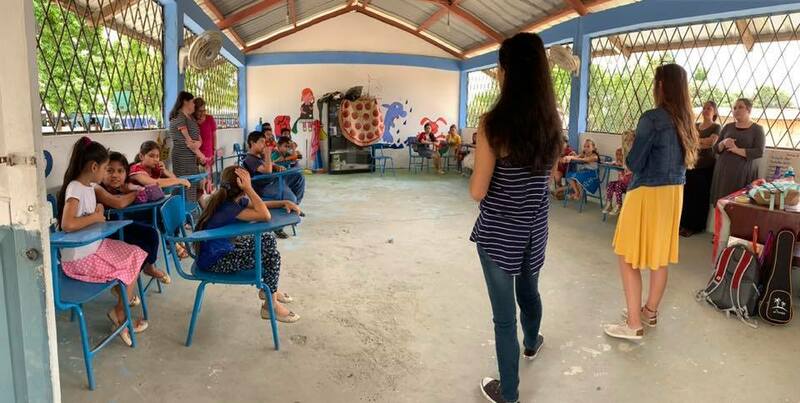 When the team arrived at each location we were able to do some work with the children in the school, in which our work was able to include a gospel presentation. Specifically in Buenos Aires the team was able to meet with one of the key Christian families in that village. 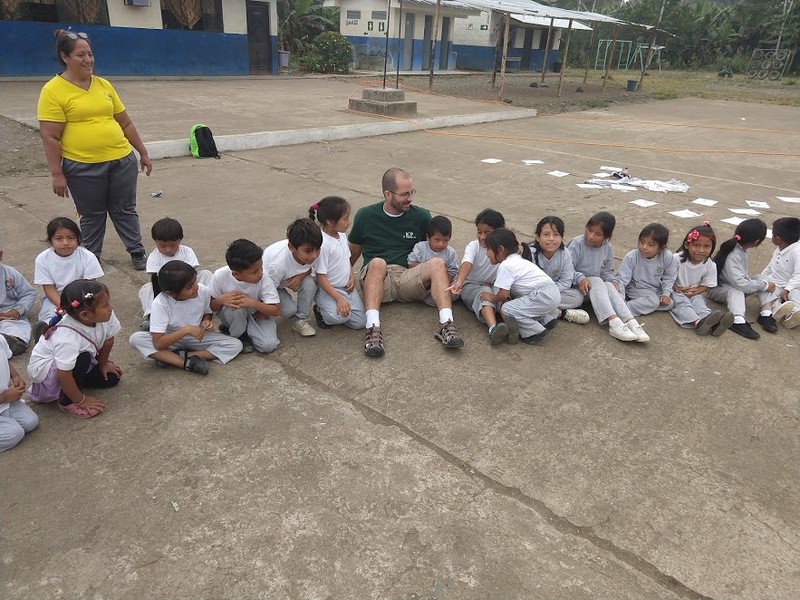 Volunteer Jeremy Williams with some school children in Clementinas, Ecuador. Pray for literal open doors as ICP|Didache Institutes is deciding on how to pursue these places potentially for future medical clinics, evangelism opportunities, and more children's work. Pray for the continued spiritual growth of the few Christians in those areas, that they would have been encouraged by the team's visit. 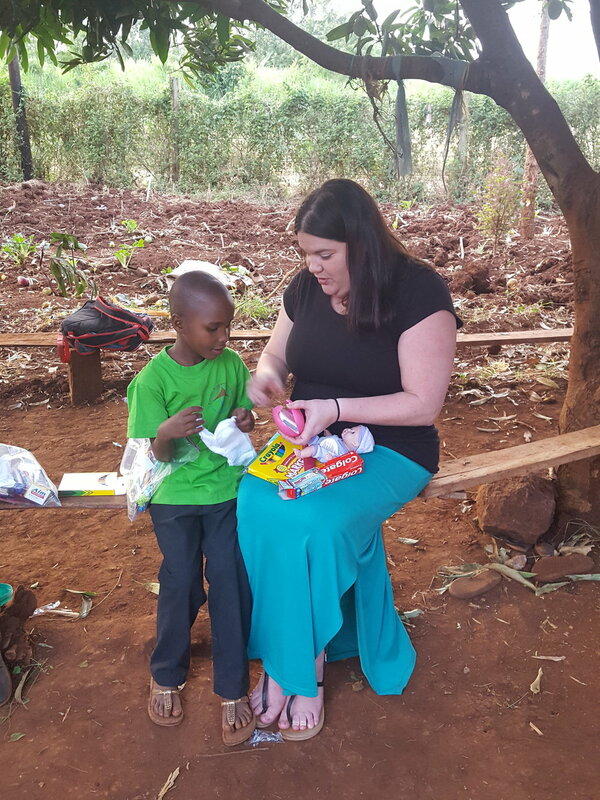 Today’s blog is about Sarah Crossett who is the Director of Women's & Children's Discipleship globally for International Church Planters. She was born in Pine Bluff, Arkansas but grew up in North Little Rock, Arkansas. She graduated from Williams Baptist University in 2004, then moved to South Korea. In South Korea she served with the Network of International Christian Schools for 13 years. Sarah has a deep love and appreciation for South Korean people and their culture. She returned to the United States in June of 2018, and subsequently began her work with ICP. 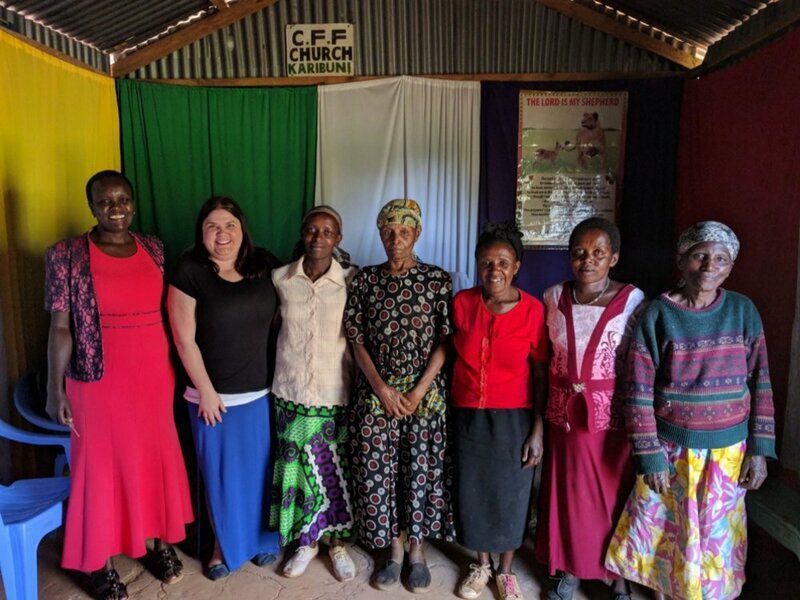 As the Director of Women’s and Children’s Discipleship globally, Sarah oversees the women's and children's discipleship programs in all of our Didache Institute locations. She works in conjunction with women's & children's coordinators to design curriculum, prepare materials, teach in the Didache Institute, and prepare volunteers.